The technology you rely on to interact with the world and express yourself should ultimately obey you, not the company that made it. If the devices in our pockets, on our bodies, and all around us are going to help us advance our own values, it has to be possible to control and customize them so they don’t just do whatever their manufacturer envisioned. A sad fact of modern technology is that many “smart” devices use their smarts to act as their manufacturer’s spy and digital enforcer. They monetize your private data and are designed not to empower you, but to maximize the profits you bring to their manufacturer. The companies that make mass-market devices often have values that either are at odds with the interests of the human beings who rely on them (e.g., devices laden with secretive spyware or printers that refuse to use competitors’ ink) or simply aim to satisfy what’s perceived as the most common use case without regard to the harms this causes people who don’t fall within the norm, typically members of marginalized demographics (e.g., soap dispensers that can’t see Black people). One of the neat things about technology is that you can build on what’s come before. If you want to buy something close to what you need and tinker with it to make it suit your purpose, you should be able to. Yet copyright law has become one of the largest obstacles to this kind of innovation. 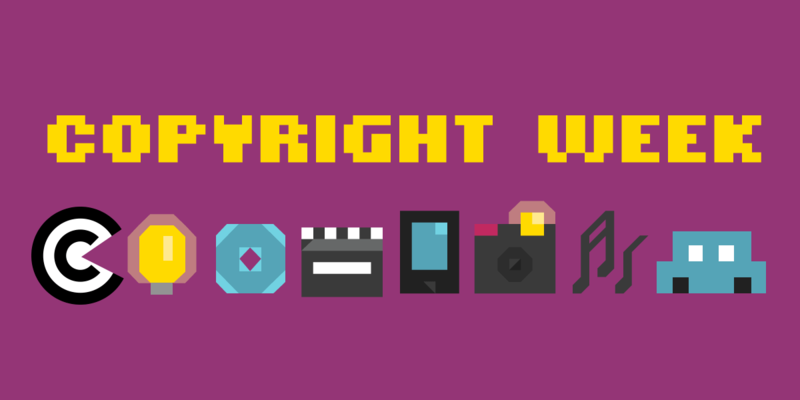 To be clear, if it were only traditional copyright law being considered, then the fair use doctrine and other limitations on copyright would protect your right to tinker. The culprit is Section 1201 of the Digital Millennium Copyright Act. Section 1201 makes it unlawful to bypass access controls on copyrighted works–even when those access controls are inside a device you own, controlling access to your copy of a work. Congress intended to prevent infringement by stopping people from, for instance, descrambling cable channels they hadn’t paid for. But secure digital systems often use access controls, such as encryption, and if you don’t have the digital keys to look at and modify the code in your devices, then breaking that encryption can get you into legal trouble, even for devices you’ve bought and own. This Copyright Week, take a moment to appreciate the tinkering and personalization that improve your life and help you express yourself. Enjoy your rights in the analog world and try out one of the exemptions to Section 1201 that we and our allies have won, such as jailbreaking your phone or reprogramming your electric scooter. Let’s all work on getting rid of this awful law so that our digital future remains in our hands.